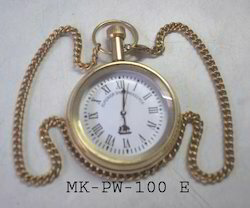 We offer a range of Pocket Watch with Chain, pocket watches, pocket compasses. We take into account the prevailing trends and standards of the industry and offer suitable range of Men’s Watches. This high grade Men’s Watches are highly demanded in the global markets for their optimum performance, durability, quality and reliability. Pink Gold and Black Toy Watch from the deluxe Kris collection. Dial is encrusted in synthetic mineral glass stones. Black plasteramic strap with secure butterfly clasp. Baguette cut stones around bezel. Toy Watch printed logo on watch face and steel back. 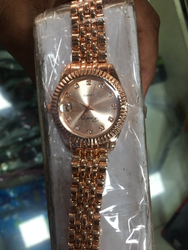 Due to our enormous understanding and massive knowledge of this business, we are involved in offering Chain Wrist Watch. Professionals ensure longer working life of these Mens Chain Watch.